Iraqi lesbians, gays, bisexuals and transgender people (LGBT) has spoken of their deep anger and offence at a statement by the Baghdad US Embassy concerning the violence and murder campaign against gays. In a response to US Rep. Jared Polis, following a meeting with Iraqi government officials, chargé d’affaires Patricia Butenis said “We have no evidence that [the Iraq government’s] security forces are in any way involved with these militias. “Iraqi LGBT has been reporting for four years on police involvement with the terror campaign. Group members speaking from Iraq said that they are “fed up with such ‘political’ words” and that the Americans are doing nothing to stop the terror campaign against them. They believe that the priority for Hillary Clinton’s State Department and Obama’s administration is to not upset the Iraqi government as they have no other allies within the country. They believe that no-one is trying to help them and feel that the current timid diplomacy “will not do much good”. “These words from the American embassy officials are insulting to us, and to those many friends of ours who have murdered. This statement is evidence that the Iraqi government is doing nothing to protect its citizens. “People should not forget that what’s happening in Iraq right now is a direct result of the unlawful US invasion. “Scott Long, director of Human Rights Watch’s LGBT Rights Program, has also criticism the State Department. 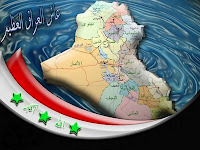 In an interview with EdgeBoston, responding to State spokesperson John T. Fleming’s pointed statement that ‘homosexuality is not a crime in Iraq’, Long responded that the fact that homosexuality is not a crime punishable by death “would be an interesting fact if the law, or the rule of law, mattered in Iraq. “Long has just returned from a fact-finding mission to Iraq where he spoke to 25 survivors from Baghdad and other cities, including Najaf, Basra and Samarra. As a consequence of what they found, Human Rights Watch has been organizing ways for as many LGBT Iraqis as possible to get out of the country. Colorado U.S. Rep. Jared Polis, who has spoken about Iraqi government involvement with the violence, has written with Reps. Tammy Baldwin and Barney Frank to U.S. ambassador to Iraq, Christopher Hill. “As LGBT Americans and cochairs of the Congressional LGBT Equality Caucus, we are disturbed and shocked at allegations that Ministry of the Interior Security Forces may be involved in the mass persecution and execution of LGBT Iraqis … The persecution of Iraqis based on sexual orientation or gender identity is escalating and is unacceptable regardless of whether these policies are extrajudicial or state-sanctioned.